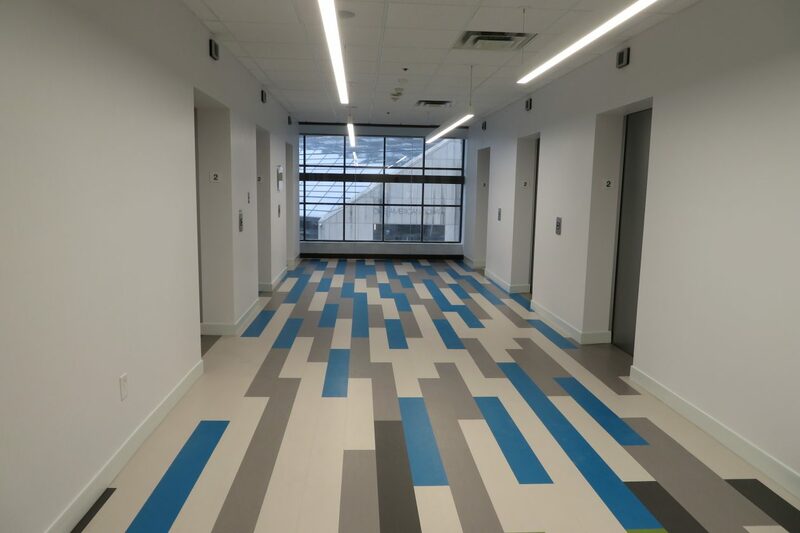 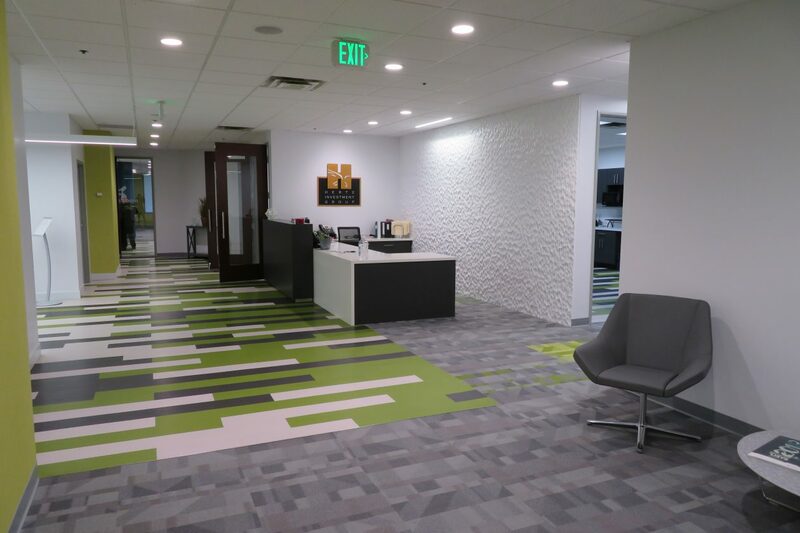 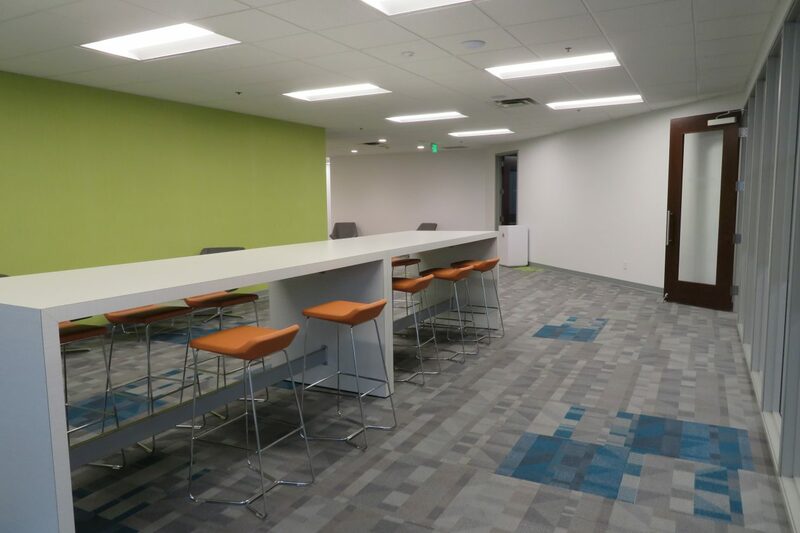 Working for long-time client, Hertz Investment Group, Capitol was entrusted to remodel the 2nd floor lobby of downtown Indianapolis’ Cap Center, creating a new management office for Hertz, as well as a conference center and Nexus Room. 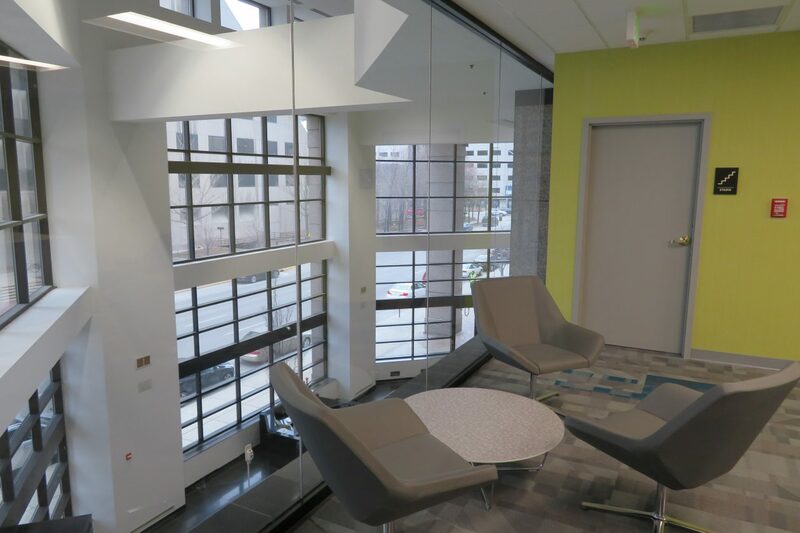 The space was in its original 1985 design, prior to the renovation, designed by Schott. 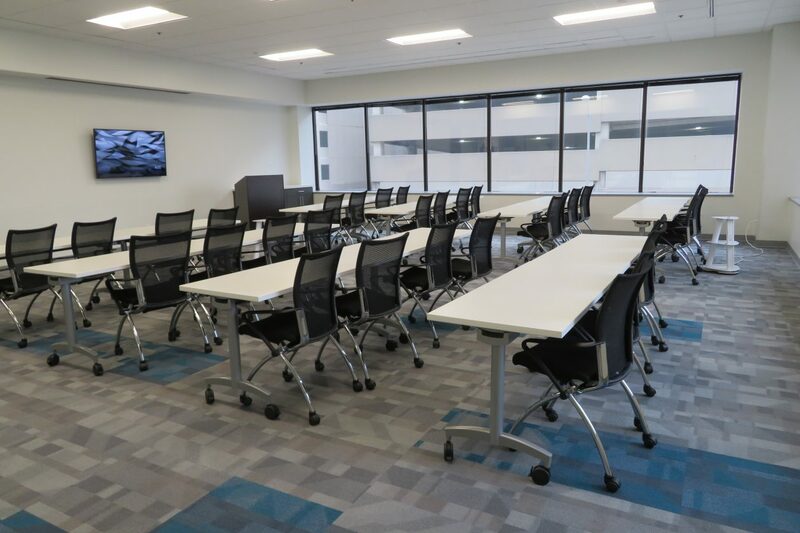 The 17, 200 square foot space now boasts new conference rooms, seating areas overlooking the multi-story building lobby, as well as a huge area for building occupants and guests to work and mingle. 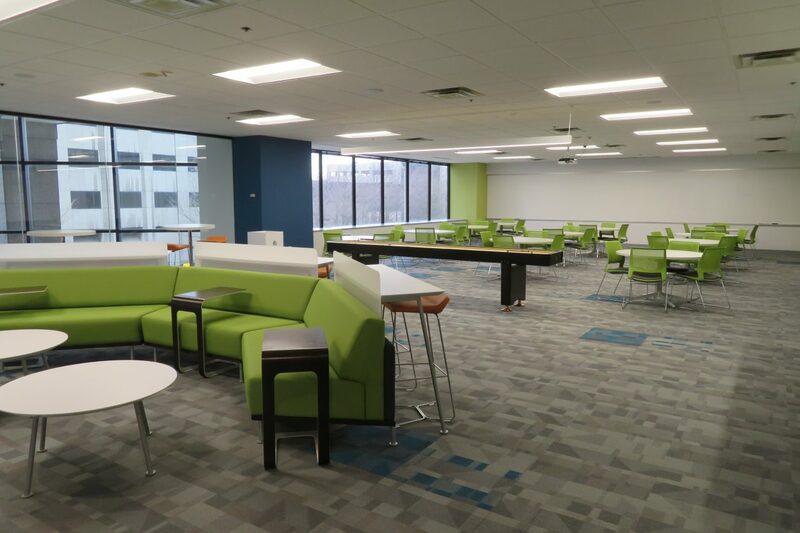 Bright new finishes and furniture have brought some new life to this iconic building!